These changes are driven by a combination of factors. First among these is human population growth, which is estimated to rise from 7.4 billion people today to between 9.6 and 12.3 billion by 2100. Another important factor is the improvements in access to energy for the 1.4 billion people who currently have no access to electricity and the billion people who currently only have access to unreliable electricity networks. Last but not least, the progressive electrification of transport and heating as part of efforts to reduce dependence on fossil fuels and reduce greenhouse gas emissions is expected to be a key driver in the surge of water consumption (The Conversation, 2016). While it is important to consider these factors in policy making, it is equally important to establish an adequate accounting framework to assess the viability of increments in the use of water by the energy sector. In this article we discuss some conceptual and methodological challenges we encountered when searching for European energy and water statistics. The challenge of data availability at relevant spatio-temporal scales for analyzing the water-energy nexus is well documented (Larsen and Drews, 2019). While in general energy systems can be considered to be well-monitored, the availability of integrated data sets covering water and energy domains is often severely limited at the relevant levels of aggregation in relation to nexus calculations, that is, beyond the site-specific level. Water and energy accounting are poorly harmonized in European statistics. 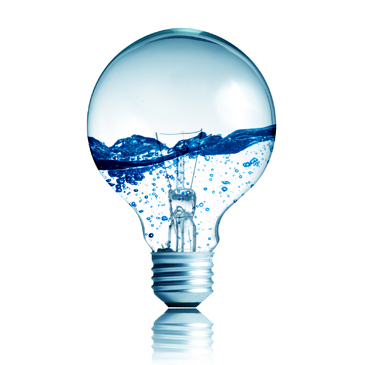 Eurostat accounts for only one water-energy relation, the use of water for electricity generation (Eurostat, 2012). This broad category encompasses water use for cooling and the rest of water use for electricity production, without specifying the types of electricity production systems. While water for cooling accounts for a relevant share of water uses in some European countries, other relevant uses of water along the energy supply chain are neglected by Eurostat. For instance, fossil fuel extraction and processing are assimilated within the broader ‘mining and quarrying’ category, hindering nexus analysis. Water for biofuel crops and processing are included in the agriculture and manufacturing sectors, respectively. In order to better inform decision-makers, care should be taken to understand the differences between water use, water withdrawal (or water abstraction*), water consumption, and what the categories represent (Kohli et al., 2010). In this regard, two additional conceptual considerations are noteworthy. First, while Eurostat distinguishes between water abstraction/withdrawal** and water uses (European Environment Agency, 2018), the separation between consumptive and non-consumptive*** water uses is not included in the statistics. In fact, most water used for cooling purposes is non consumptive. This means that water is either recycled or returned to water bodies after use. A small share of withdrawn water is evaporated (consumed) along the cooling chain, falling into the consumptive use category. Second, hydroelectricity is excluded from the accounting because it is an in-situ use (Eurostat 2014, p. 43). However, hydroelectricity does also evaporate water (consumptive uses) and uses tremendous volumes in a non-consumptive manner. Figure 1 - Water use for energy production in European countries 2012 (m3/p.c). The quantitative multi-scale approach used in MAGIC allows maintaining the distinction between green water, consumptive blue-water and non-consumptive blue-water. In particular, in a recent report of the MAGIC project (Ripoll-Bosch and Giampietro 2018), we calculated water use for the energy sector in different European countries (Germany, France, Italy, Romania, Spain, Sweden and United Kingdom). The water consumed for refineries, evaporated during electricity production and biofuel crop irrigation, as well as the water used in the mining and extraction of Primary Energy Sources (which can be contaminated due to acid mine drainage), was considered to be consumptive. The water for cooling and for hydropower (excluding the water evaporated during the process) was accounted for as non-consumptive. If this distinction between consumptive and non-consumptive water uses for energy supply is introduced, and hydroelectricity is included in the accounting, the resulting picture for European countries is quite interesting: Most water uses for energy supply fall within the non-consumptive category (figure 1). Within this category, the pattern significantly varies among countries depending on how much hydroelectricity they have developed (figure 2). When looking at the consumptive share (figure 3), electricity generation is still the largest water consumer in all analysed countries. Whereas this share looks negligible in comparison to non-consumptive uses, it gains relevance when contrasted with other consumptive uses such as water for agriculture or households. Figure 3 - Contribution of different processes to the consumptive water share (%). The announced expansion of electrification will generate competition for water not only between sectors, but also between different consumptive and non-consumptive uses of water in energy generation. Moreover, the impacts of increments in electricity demand on surface water bodies need to be evaluated against the disaggregated contribution of different energy supply processes. Therefore, it is imperative to advance to a more comprehensive water-energy nexus accounting framework that can quantify and characterize all water uses together across sectors. **Groundwater abstraction is the process of taking water from a ground source, either temporarily or permanently (European Environment Agency, 2018). ***A use of water is consumptive if that water is not immediately available for another use. Losses to sub-surface seepage and evapotranspiration are considered consumptive, as the water that is polluted or degraded to insufficient quality for reuse. Water that can be immediately treated or directly returned to water bodies in a continuous loop is considered non-consumptive. Therefore, a non-consumptive use is when water use does not diminish the source or impair the future water use. European Environment Agency, 2018. Groundwater abstraction [WWW Document]. URL https://www.eea.europa.eu/themes/water/wise-help-centre/glossary-definitions/groundwater-abstraction (accessed 11.2.18). Eurostat, 2015. Annual detailed enterprise statistics for industry (NACE Rev. 2, B-E) [WWW Document]. International Energy Agency, 2017. World Energy Outlook 2017. Kohli, A., Frenken, K., Spottorno, C., 2010. Disambiguation of water use statistics 1. The Conversation, 2016. Energy sector is one of the largest consumers of water in a drought-threatened world [WWW Document]. URL https://theconversation.com/energy-sector-is-one-of-the-largest-consumers-of-water-in-a-drought-threatened-world-59109 (accessed 10.31.18).